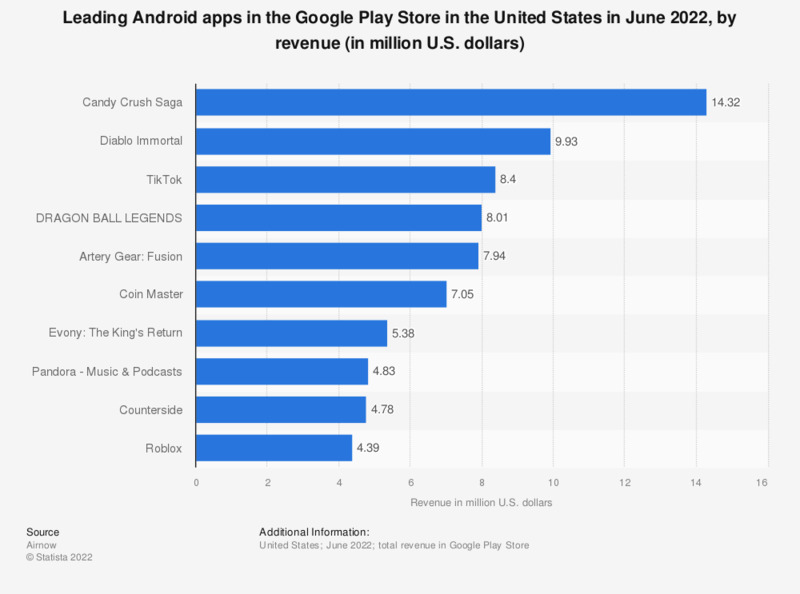 The graph presents the leading mobile app titles in the Google Play Store in the United States in March 2019, ranked by revenue. In the measured period, Candy Crush Saga generated approximately 44.93 million U.S. dollars in revenue in the United States. Most of the highest-grossing apps in the United States were gaming apps.